Are your project managers nimble enough to respond to disruptions in your business model? Do they know your model and know how to align their project with the model? What’s at stake if they do not know it or use it? 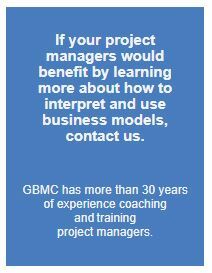 At GMBC, we think there is potential for missed opportunities and projects that don’t realize their benefits when the PM doesn’t know or can’t interpret your model. 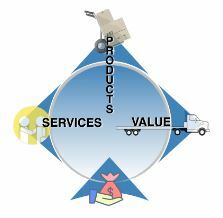 An organization’s business model describes how it is financed, what products or services it supplies to its customers and how it delivers value. 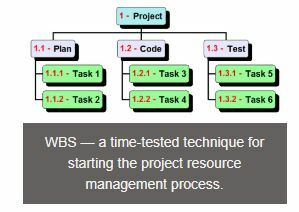 Projects introduce change to the organization. PMs need to understand the business model and be able to link it to the objectives of their projects. They should know how their project impacts various aspects of the business model. Here are tips for helping your PMs connect their projects with your business model. Involve the PM in the Business Case. A project needs a business reason to exist. Engage PMs either during or immediately after the case is generated. That way, they know whether they are responsible for developing a new product or service, improving existing ones, avoiding or lowering cost, or modifying the way the organization does business. When the project is meant to change the business model itself, the PM needs to know what that business is and how it is going to change. Train PMs to Link Projects to Models. With this skill, PMs can calibrate execution strategies, key performance indicators and benefits realization according to the business model. They should be among the first to recognize that something about the project may have an unintended consequence on some aspect of that model. If your business is executing projects for others, your PMs should know the business model of your customers. It’s fundamental to customer satisfaction. Support PMs as They Use the Model. It’s a great way for PMs to communicate with upper management. Listen to them in the context of the model. They can explain how project delays may impact the execution of that model. For example, if their project is bringing on a new revenue stream, changing the supply chain, striving to comply with a new regulation, or achievement of a certification (like ISO9000), it usually gets management’s attention when project issues correlate to staying in business. It is well known that customers tell others about poor products and services far more frequently than they do the good ones. In today’s media, there’s an accelerated and wide-ranging ability to pass along news of unfavourable satisfaction. There goes your brand. 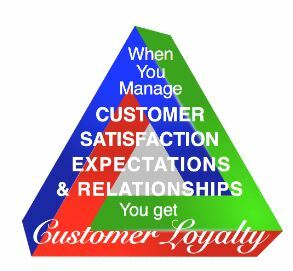 To keep your customers loyal, make customer satisfaction a core part of your project management competency framework. 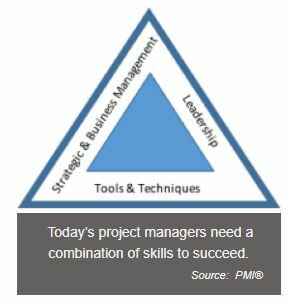 The Project Management Institute (PMI®) includes this skill set in its talent triangle. Previous newsletters have addressed stake-holder management, and while that’s part of the satisfaction process, our focus for this one is on those persons who benefit from the results of the project. Customers can be consumers, another business, or even an internal or external sponsor—a person or entity who funds the project. Teach PMs to know your customers’ expectations of the product or service. Customers have expectations, and when it is confirmed that they received what was promised, the company has another loyal customer. This should go way beyond collecting requirements. Sometimes expectations are never articulated until they’ve not been met. Teach PMs how to extract and manage expectations. Insist that customers be satisfied with the project process. Give your PMs robust and predictable systems, tools, and support. Ensure that policies, objectives, and responsibilities of the project will satisfy them. Teach your PMs to involve customers in planning. For example, plans for any type of user acceptance testing. And while project close-out is rarely the most favorite set of tasks, there should be a high level of emphasis for planning the hand-off to the customer. 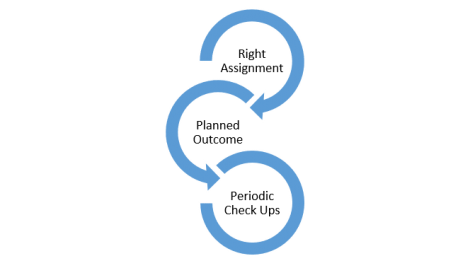 Deploying the solution, product, or unique result of the project is critical. It may be that “last impression” that brings the customer back for repeat business with your firm. Expect your PMs to master the skill of establishing and maintaining profitable relationships. Ensure they know how to take the pulse of the customer, or are trained to really hear the voice of the customer. While most concur that the agile approach emphasizes or drives interaction and collaboration with the customer, your organization may have to take special measures if you manage traditional waterfall projects. Encourage PMs to stay tuned in over the life of the project. Give them confidence that senior management of the company can be counted on to spend time with the customer whether the relationships is going well or not. Have in place a way for the PM (and the company) to monitor the effect of the engagement. And, if relevant to your project or service, a check in well after the project is closed out. All GBMC Past Newsletters are available here you can also join our Newsletter email distribution if you wish through this link. These days, the success or failure of projects can depend as much on the external market factors as internal technical factors. Overruns and delays on multi-billion-dollar projects such as the Gorgon project in Australia and the Northeast Water Purification project in Houston are testaments to how market factors such as commodity prices, regulatory changes, labor conditions, and competition can impact on-time/on-budget project results. On Houston’s Northeast Water Purification project for example, the project manager from the contractor, CDM-Smith, last year said his biggest risk was the potential rise in steel prices due to tariffs imposed by the Trump Administration. This political event resulted in what some have estimated as much as a 78% increase in steel prices over the past 2 years – considerably impacting project economics. Chevron’s Australian Gorgon project, completed in 2017, resulted in a $17bn cost overrun – largely due to poor planning and poor risk management around external market factors such as labor costs and equipment delivery delays. 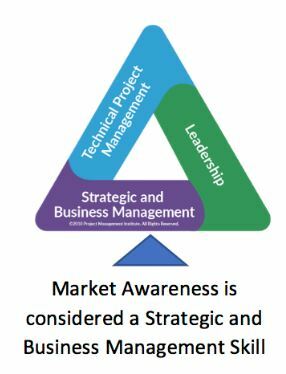 It is no wonder that for projects big and small, the profession’s leading association, the Project Management Institute (PMI) calls “Market Awareness” a Strategic and Business Management skill for every project manager. In 2015, the PMI formally included it as part of its “Talent Triangle” of skills for the successful project manager. Staying aware of changing market conditions is more critical than ever for project managers. 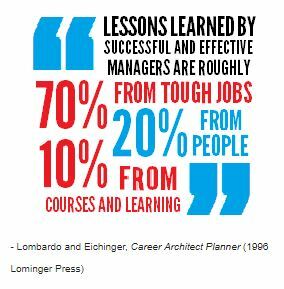 Yet most project managers have no background or training in the market research or strategic planning core skills needed to stay informed. So how can organizations and individuals begin to equip themselves with these skills? The first step may be to start with a “framework” for understanding the external environment. STEEP is an acronym for Social, Technological, Economic, Environmental and Political trends. Strategic planners and futurists have used this framework for years because of its simplicity and comprehensive span of topics. Project managers can also benefit by looking at the world through the lens of each of the 5 STEEP areas. In this way, they can train themselves to identify critical trends in the popular media, technical press, trade shows, research papers, and interactions with influential trendsetters. 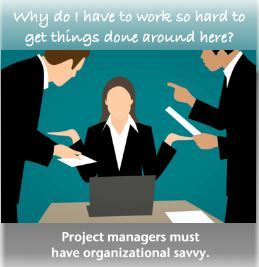 To get project managers on the right track, upper management should stress the importance of reading non-technical publications and getting outside of their project bubble through networking in technical, political and social circles of societal influencers. How many of your project managers (PMs) are so skillful at getting things done that they seem to glide effortlessly through the duration of their projects? They hit their milestones, deliver the intended results on budget, and execute with high performance and low drama. How do they do it? One of the core skills that allows PMs to deliver, is the ability to get things done through formal and informal channels. Savvy PMs build networks and use their power and influence with the proper balance of finesse and assertiveness. They know why the organization has its practices, policies and procedures and can explain the reasoning behind them. They are able to figure out how the organization works and how it supports (or doesn’t support) its projects. Savvy PMs will spend time getting to know what each function in the organization does. They will study what value that function brings to the project. For example, they know what finance, procurement, marketing, and others, contribute to the project. They need to know the organization has these functions and they are good at engaging them. Give your PMs access to organizational information, and encourage them to be curious. Skilled PMs build relationships with people in the functions. They use many of their stakeholder management techniques to form bonds. They seek opportunities to communicate about the project; they tend to include functional experts in meeting and decisions. They may even engage in reciprocity with those outside the project who can help them get things done. Host events or forums that connect your PMs to the functions, and if necessary, teach networking skills. Competent PMs know the processes the functions use. They learn the process inputs and outputs and how the process contributes to the project. They proactively anticipate the capabilities of the function and realize what steps the function must go through to support the project. Unskilled PMs may be tempted to try to skip steps or expedite around the standard process which could lead to errors and delays. Communicate and teach the functional processes and coach PMs in the art of leveraging them. Ever wonder why your project managers (PMs) don’t seem to support your organization’s longer-term strategic objectives? Sure, they’re able to achieve project objectives, but do they have the business and strategic management skills that are so much in demand today, to drive your organization into the future? According to the Project Management Institute (PMI®) today’s businesses must have project managers who are skilled in business intelligence if they expect their projects to increase revenue, save cost or seize opportunities to deliver better services. 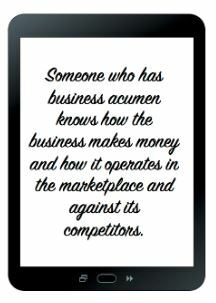 This month’s topic is business acumen. It’s a handy way of summarizing a number of skills in the business-oriented competency cluster of PMI’s talent triangle. Here are some tips for upskilling your PMs in business acumen. If your PMs do not have business degrees, ensure they take at least one formal course in the business foundations of accounting, finance, marketing and management. Encourage them to read financial periodicals, books and annual reports. Give spot assignments that require them to attend strategic and business planning sessions. See if a senior manager in the finance department will mentor them. Assign your PMs to undertake a market analysis project, conduct a customer satisfaction survey or monitor new trends in products or services similar to yours. Provide development opportunities on a joint venture or as a team member trying to solve problems in other functions in your company. Ask them to conduct lessons learned on projects that penetrated a new market. Help your PMs make better contributions to the business. PMs who don’t scan the horizon for competitor threats or best practices may out of touch with the drivers of your company’s success. Provide opportunities for them to study and benchmark competitors. Model competitor networking. See if you can give them a rotation through a different product line that is getting ready to launch a new brand. Challenge them to know your competitors and how the company plans to beat them. How many of your project managers (PMs) have an “elevator speech” about how your business makes money? How many could then explain how their project adds true benefits to the money-making? In today’s world, project managers should be able to explain to anyone and everyone how they are managing the benefits their project is bringing to the business. According to the PMBOK® Sixth Edition, there are several skills your project managers should have–or be acquiring–when it comes to strategic competence. One of them is benefits realization management. If your organization has ignored this dimension of PM development, take a look at what can happen when the PM is skilled. The PM has a powerful tool for aligning stakeholders. What a way to get stakeholders excited about a project! Getting them involved in the identification and planning of project benefits could be the start of managing expectations and influencing behaviors that support progress. Teach PMs how to leverage this tool. 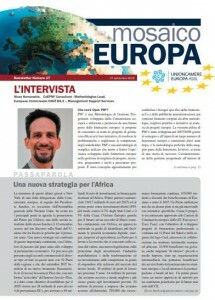 The project stays aligned with business strategy. The literature is brimming with examples of projects that went off the rails and failed to deliver the expected benefits to the business. While there are many contributing factors to this type of outcome, PMs are in the best position to monitor alignment and raise an early warning when realizing the benefits is slipping away. A recent Pulse of the Profession® report by PMI® describes how organizations are better able to control cost and schedule when they master this skill. Create or adopt a methodology for checking alignment. Here are a couple of benefits. 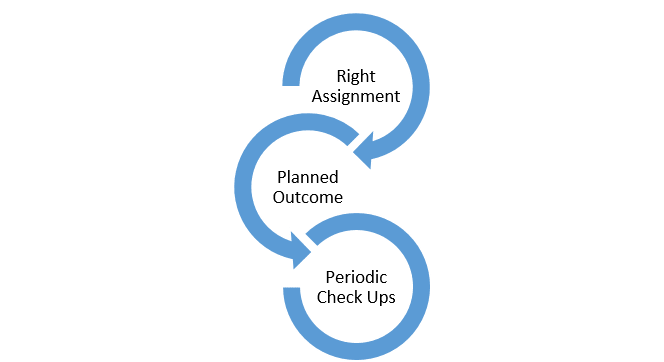 When PMs learn to manage benefits realization, they take decisions faster and with more accuracy because they are guided by how project strategy links to organizational strategy. 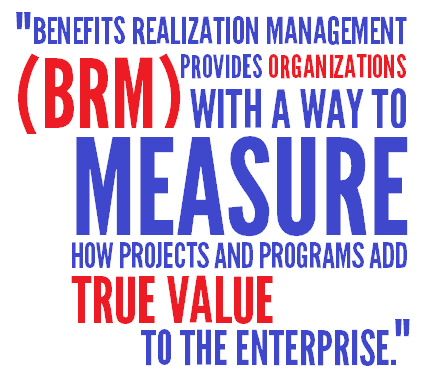 They also benefit when the project has metrics related to delivering benefits to the organization. This could be part of your PM’s performance evaluation and total compensation. Train your PMs to do this. 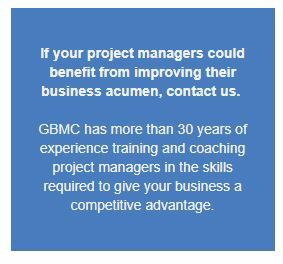 GBMC contributed to the EC PM² methodology and offers a range of PM² Training and Consulting. More information about our PM² programmes can be found here. What’s the secret to stretch assignments? How much elasticity should be built in? When it’s time to develop a project manager, many organizations make stretch assignments part of the plan. Is it more than assigning someone to a project with bigger scope or scale? At GBMC, we say emphatically, yes—much more. It’s more than throwing a PM into the deep end of the pool without a flotation device. That’s risky for both the learner and the organization. When a stretch assignment is part of the plan, we recommend answering the following three questions. Organizations with mature talent pipelines have guidelines for developmental assignments. One of the first guidelines is to have the candidate’s career goals well defined and documented. Another is to ensure the manager has had an in-depth conversation with the candidate about how the assignment is an opportunity for growth. Sometimes, the candidates may have to be relieved of other duties so they can focus on this challenging development project. 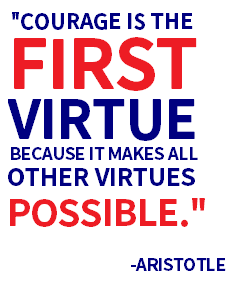 Another less tangible guideline is to instill in the PM a sense of courage. If it’s truly a stretch assignment, your PM has to have confidence going into this new challenge. 2. What outcomes are expected? Without clear development objectives, there is a risk that an assignment results in your PMs being stressed out and fatigued. Lacking direction, PMs can be left confused about what was supposed to be learned. When developing your PMs, make sure the skill gaps you identified during skill assessments can be closed by this stretch assignment. Document what the learner will be able to do (or do much better) when the assignment is over. 3. How do we check on progress? First, take a realistic look at the learning curve to see how many new skills the PM will be working on. Then, put supports (safety nets) in place if there are more than 3 skills with steep curves. Supports can include coaches, mentors, training, reading, etc. Finally, establish milestones during the assignment when the learner is given time to reflect and discuss what is being learned. Include milestones when the manager checks progress. These milestone check-ins should be distinct from other performance or skill assessment activities. They should be dedicated and focused times for the PM to get recognized for skill building or a time to ask for help before it gets too risky. Successful stretch assignments are planned and monitored. Think about the last time you assigned someone to manage a project. Did you send them on their mission with your teeth clenched and fingers crossed? Or were you smiling and nodding because you were confident that person was the best prepared project manager for the job? Wouldn’t you like to have the latter experience more often? 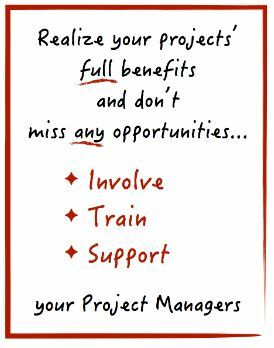 You can, once your project management organization has mastered the art of PM development planning. In recent newsletters, we’ve explored what it takes to document a PM skill set and to manage your talent pipeline. Let’s turn our attention to what happens inside the talent pipeline that turns potential into performance: Project Management Development. There is research that demonstrates learning on the job has the greatest impact. If you just plan to put your PMs in a classroom, hoping they’ll develop, both the organization and the PM will be disappointed. Stretch roles and develop-in-place assignments should be the major components of your PM’s development. While that sounds logical, it’s often difficult for the organization to gauge which assignments will grow talent, but it is possible to figure it out. Don’t succumb to the “one size fits all” myth. Your PMs have unique development needs, are in different stages of their learning curve, and have individual preferences for how they learn. Fill the gap between where they are today and where they need to be tomorrow with a variety of learning modes and checkpoints suited to their career trajectory, situation, and ambitions. And remember to include the learner in the planning! Organizations often overlook the power of learning from others. We learn from good bosses, bad bosses, other PMs, and subject matter experts. Coach your PMs to learn from observing others in the roles they aspire to and to seek out experts who have been trained to coach. There are all kinds of opinions on what good coaching looks like. Keep in mind the coach doesn’t do the work; they guide learners through dilemmas and tough experiences, and help them navigate the learning landscape that’s best for them.